An opinion poll conducted by news channel Star News says that Bihar CM Nitish Kumar is headed for a clear majority in the forthcoming assembly polls. The poll results give the ruling Janata Dal-United-Bharatiya Janata Party alliance 170 seats in the 243-member house. 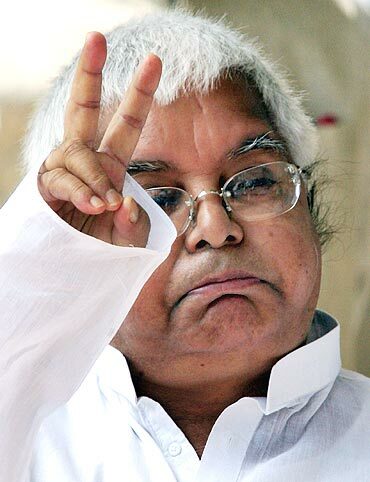 The Lalu Yadav-Ram Vilas Paswan alliance is set to be reduced to 34 seats, according to the predictions. Among the respondents, Nitish Kumar had the highest rating as a CM candidate, followed by Lalu Yadav. In the 2005 assembly elections, the BJP-JD-U alliance had won 143 seats with a 36.1 per cent vote share. Five years on, the alliance seems to have consolidated its position with an improved vote share of 41per cent, a swing of almost 5 per cent. However, the bigger surprise is the shrinking of Lalu Yadav's political base. The poll shows the Rashtriya Janata Dal-Lok Janashakti Party alliance will lose a whopping 10 per cent vote share and will be reduced to almost half of their 2005 tally of 64 seats. In 2005, the RJD-LJP alliance had a vote share of 34.6 per cent and had won 64 seats. This time around, the alliance will get only 25 per cent vote share. Riding on Rahul Gandhi's involvement in the state, the Congress seems to be making a comeback of sorts with 22 seats, up from its tally of 9 in the 2005 elections. 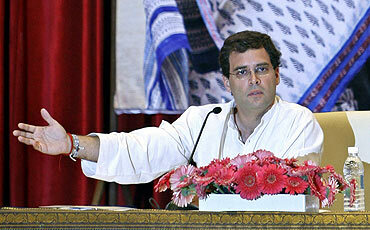 The Congress also is projected to increase its vote share from 6.1 to 10 per cent in the forthcoming polls. In 2005, the Bahujan Samaj Party had won four seats but this time around it could win only half of that. Independents will also be reduced from 10 to 6. Within each parliamentary constituency in Bihar, 3-4 assembly constituencies were selected for sampling keeping in mind the geographical spread. In all 21,640 interviews were conducted. Among the persons polled, BJP-JDU combine scored very well getting a 73 percent approval rating. 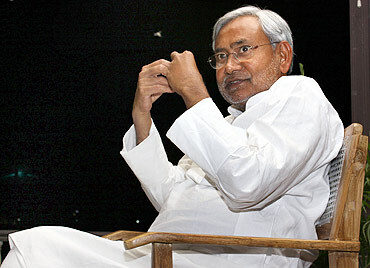 Nitish Kumar's approval ratings as CM were just a shade higher at 73 percent. Nitish Kumar's focus on development seems to have worked with 4 in 5 respondents saying that the road conditions in Bihar had improved. 2 in 3 respondents also said that the state of transport in Bihar had improved. The poll showed that the NDA combine also scored well on eductaion,health-care, water and infrastructure among the respondents.